This electronic nectar collector from Boundless, named the CF-710 is a complete departure from their usual type of device. The CF-710 brings un-matched portability to your dabbing game. This electronic nectar collector from Boundless, named the CF-710 is a complete departure from their usual type of device. The CF-710 brings un-matched portability to your dabbing game. You simply pop the top off to reveal the exposed heating element and vapor path and then turn it on with a few clicks and you are instantly good to go. 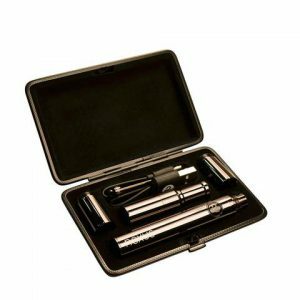 How to Use Boundless CF-710 Vaporizer? The operation of boundless CF710 is very simple and straight forward just like a standard wax pen or nectar collector. 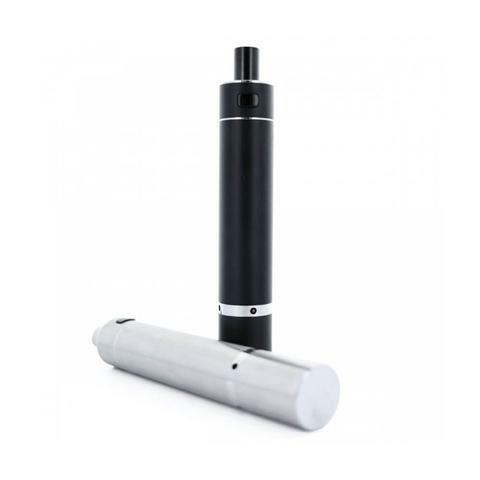 Depending on user need, boundless CF710 has following two ways of operation. On Demand Heating:Once on, you simply press the button and the coil will heat up instantly. You then just dip the heating element into your concentrate whilst inhaling through the mouthpiece to draw in the vapor. When you are done you simply turn it off, pop the cap back on and slot it back in your pocket. It really is that easy. There is a choice of two coils included, one quartz and one ceramic, both of which use stainless steel heating elements. Quartz coil atomizer: if you are looking for a tastier and smoother vapor production from wax then quartz coil atomizer is the right choice for you. Ceramic coil atomizer: Are you a big fan of thick & cloudy vapor? Well, ceramic coil atomizer is the right option to go with. However, the vapour quality is harsher and you may need a glass of water after a few draws. No Loading required – Just dip heat coil in quartz dish loaded with your concentrate and draw at other end. Charging Time: Fully charge in 2 hours. Comes Equipped with a micro USB charger. Ultraportable Design: Easily fits in the palm of hand. Long Battery Life: Comes equipped with a 900mAH Li-ion battery. Can be used for about an hour with single charge. Unfortunately, Boundless CF710 does not offer the precise temperature control. The only way to control the temperature is how long you press the power button. You can press the power button for shorter time for low heating temperature, which offer you smoother and tastier vapor production. Hold the power button for a longer time and take long draw to enjoy thick & dark vapor cloud. Boundless CF-710 equipped with 900mAH Li-ion battery. It means that CF710 has a great capacity to stand a bit longer than most of wax pen available in the market. The 900mAH battery will give over an hour of use on one charge and the included USB lead will charge it in 1-2 hours depending on what you plug it into. Overall, you spend less time in charging and more time in enjoying your wax with boundless CF710 vaporizer.